SeaGlobe trades a wide range of offshore and marine equipment / products and can offer sale or lease options. We work closely with various equipment and product suppliers in the industry. Our team has rich experience in technical procurement, and have first hand experience running offshore construction projects, we are therefore able to offer practical advice for your project needs. Our close relationship with the various suppliers, both local and international, major and niche, enables us to always provide a reliable and cost effective solution. ​​SeaGlobe is the authorised international marketing agent for CPP601, a derrick pipelay barge owned by China Petroleum Pipeline Bureau (CPP). ​The CPP601 is a modern, versatile S-lay barge delivered only in 2013. The barge is equipped with a 1600MT main crane and 2x60 tons tensioners and is capable of laying 4" to 48" diameter pipelines. SeaGlobe acts as the sales agent for Viar S.p.A. in the China market. Started from 1983 in Italy, Viar S.p.A. is an industry leader in the design, production and supply of pipeline flanges, fittings, connectors and special forged pieces. 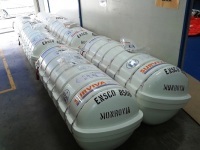 VIAR has a long track record of supplying products of exceptional quality to major offshore projects around the world. - Flanges: Anchor Flanges, Compact Flanges, Hanger Flanges, Swivel Ring Flanges etc. 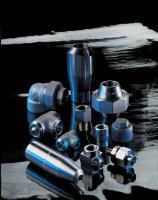 ​​- J-Lay Collars, Buckle Arrestors, Bend Restrictors etc. - Face masks, SCBA etc. Copyright © SeaGlobe. All Rights Reserved.